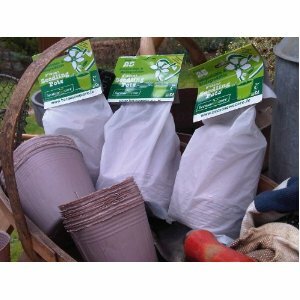 These 25 set pack of biodegradable Seedling Pots are a real eco-friendly alternative to peat or plastic seedlings pots. They allow you to simply drop your new plants into the ground without removing the casing. This ensures that the roots of the seedlings are not disturbed during the planting process. Made from a combination of corn starch and biodegradable compostable components these seedling pots even add nutrients to the soil giving your plant a healthy start to its life cycle in your garden. Designed by Australian company Becausewecare these 3 Inch seedling pots biodegrade into natural humus, CO2 and water once placed in the ground. 1: Place seeds and soil into pots as you would with a normal plastic or peat pot. 2 When your seedlings are ready for planting dig hole in ground and place seedling in hole without removing from pot. 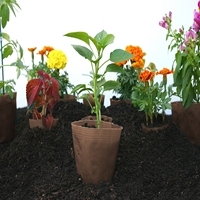 3: Cover pot with compost and watch your plant grow with the help of the nutrient filled biodegradable Seedling Pots. 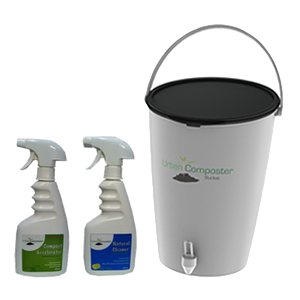 This product is certified compostable to the European Standard EN 13432-2000 and depending on weather conditions should start to breakdown anytime within 2 to 6 months. Even the packing is made from a compostable material! 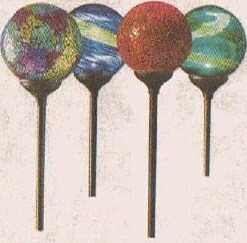 The 25 set pack works out at great value at less than 2o cent a pot.